Everything is happening as planned. 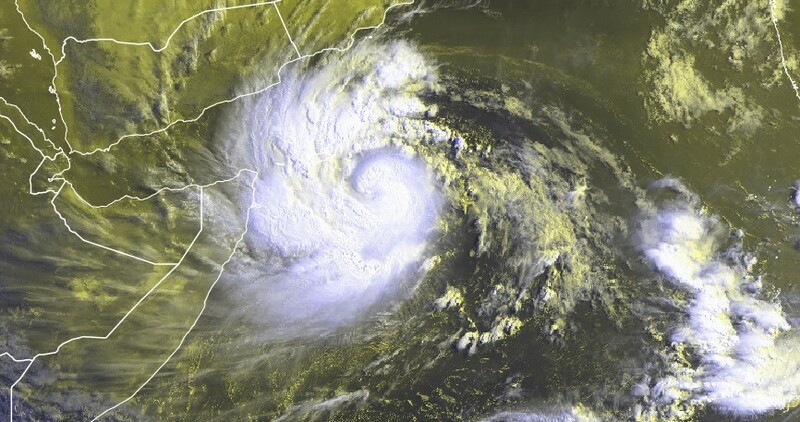 The initially suspected area 92A was rapidly organized yesterday (Tuesday, May 22nd) to be finally baptized MEKUNU by the Cyclone Regional Specialized Meteorological Center (CMRS) of New Delhi last night. This morning, this system evolving in the Arabian Sea was positioned at 11.00N and 56.00E, about 300km south-east of Socotra Island and 700km south-southeast of Salalah (Oman). MEKUNU was moving north-west at a speed of 11km/h. According to the RSMC, the central pressure was estimated at 994 HPa, the average sustained winds of the order of 45kt (83 km/h) associated with gusts of 55kt (exceeding 100 km/h). Last data converge towards a further intensification of this system. MEKUNU is evolving under favorable environmental conditions (sea surface temperature between 29 and 31 ° C, weak to moderate vertical shear and good altitude divergence). The recent images show an improving satellite signature, with now an eye formation in center of the storm. The RSMC continues to suggest that the system strengthens and reaches the very severe cyclonic storm stage (hurricane stage) in the next 24 hours. 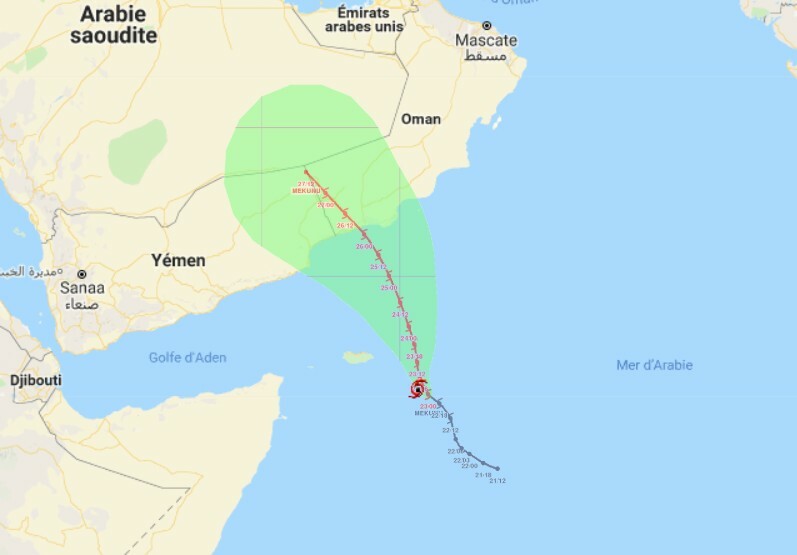 Landfall over Arabian Peninsula Saturday morning near Salalah (Oman) is currently envisaged, although there is still uncertainty with the final track forecast. For now, a direct impact on both the southern coast of Oman or the southeast coast of Yemen is again possible.